Villa Luinil enjoys magnificent, sweeping views over the ruined castle of Grimaud and the Gulf of St Tropez. 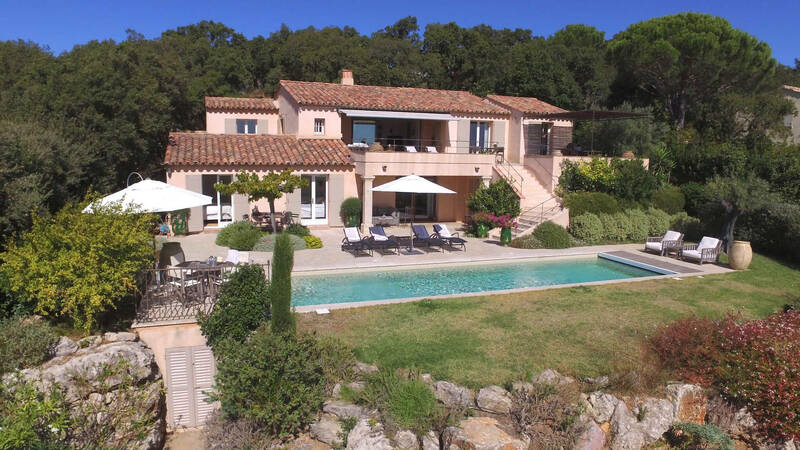 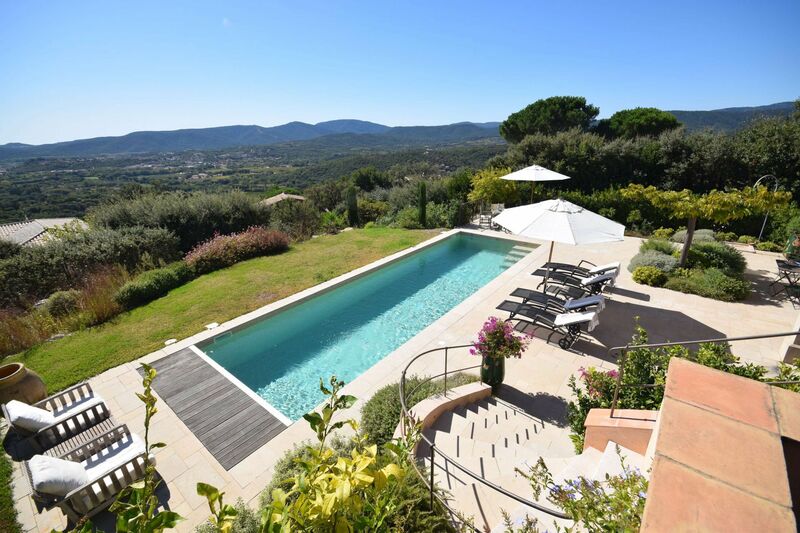 Near the golf course just 6 km away at Beauvallon, Villa Luinil offers absolute comfort in an amazing setting, within easy reach of St Tropez and surrounding villages. 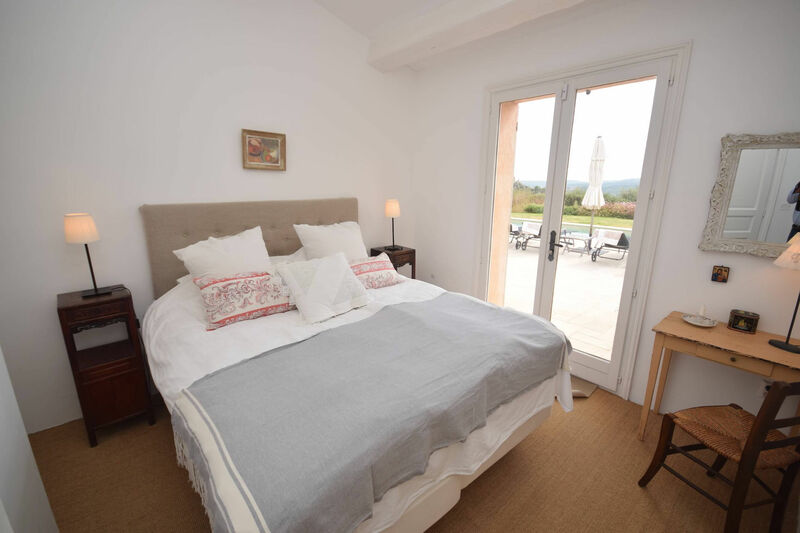 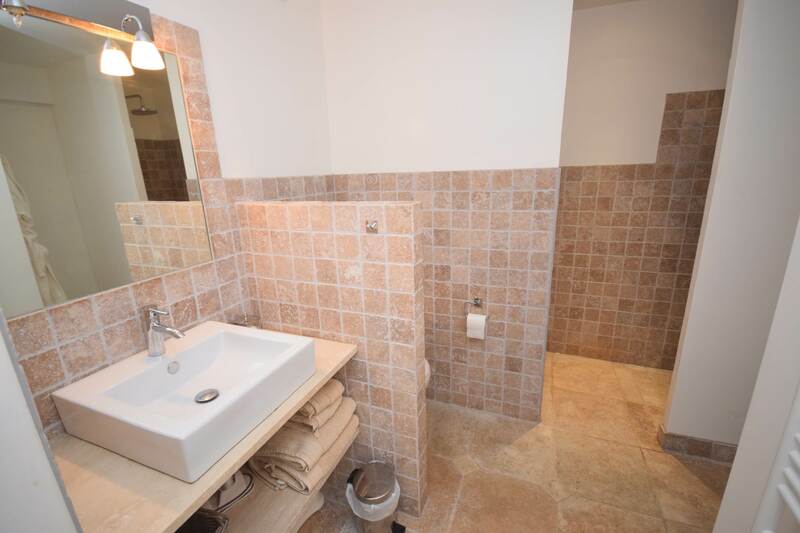 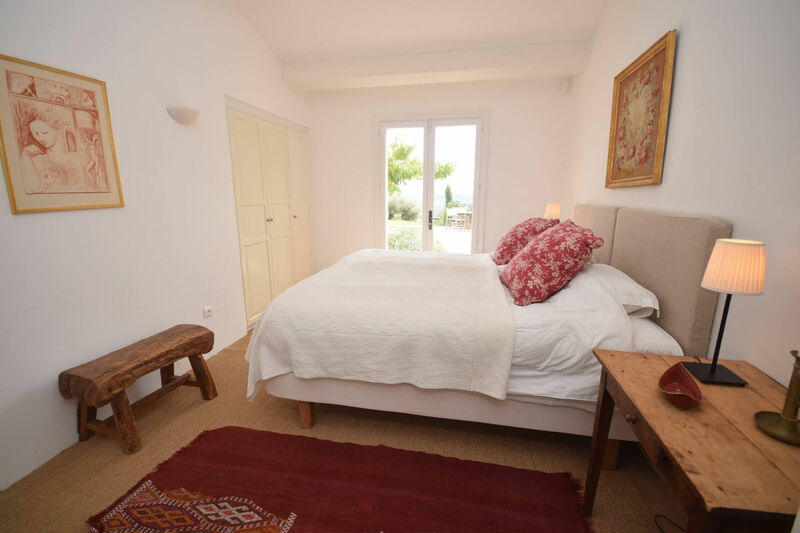 The villa features 3 beautifully renovated and elegantly furnished double bedrooms, all with en suite bathrooms. 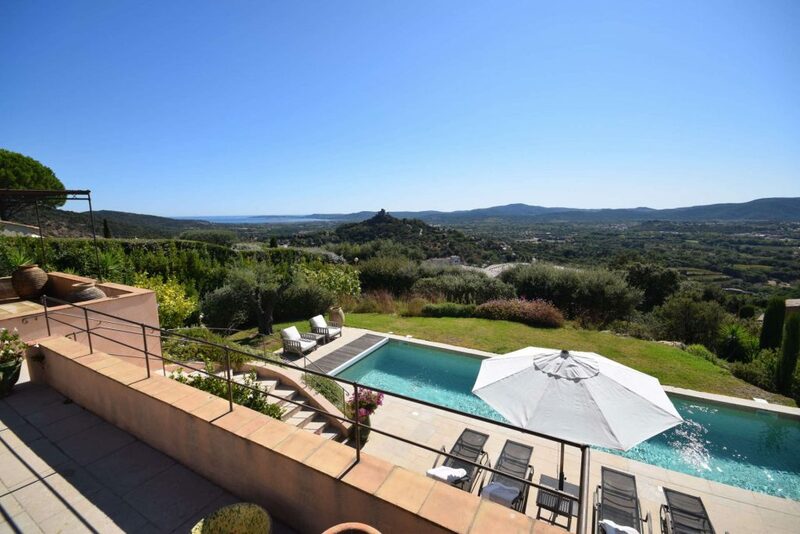 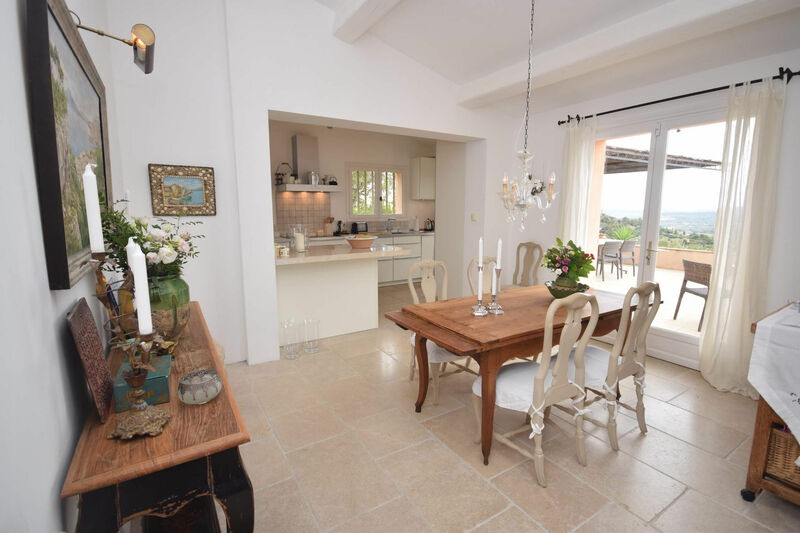 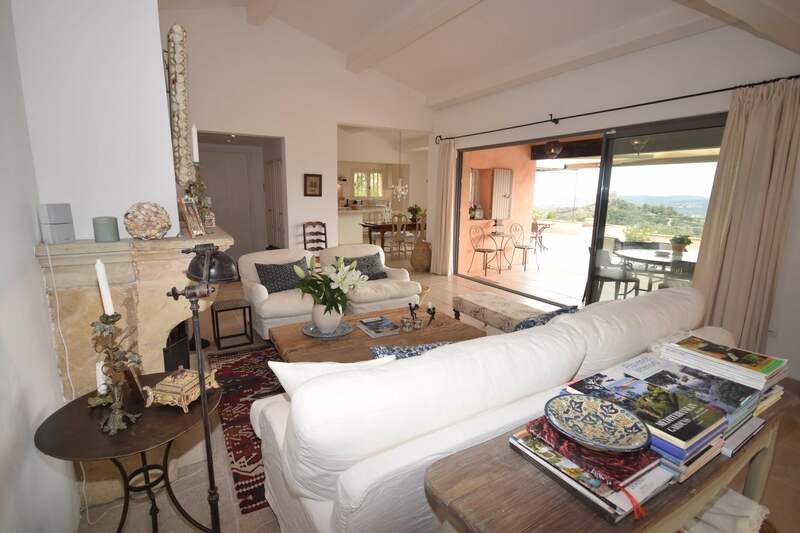 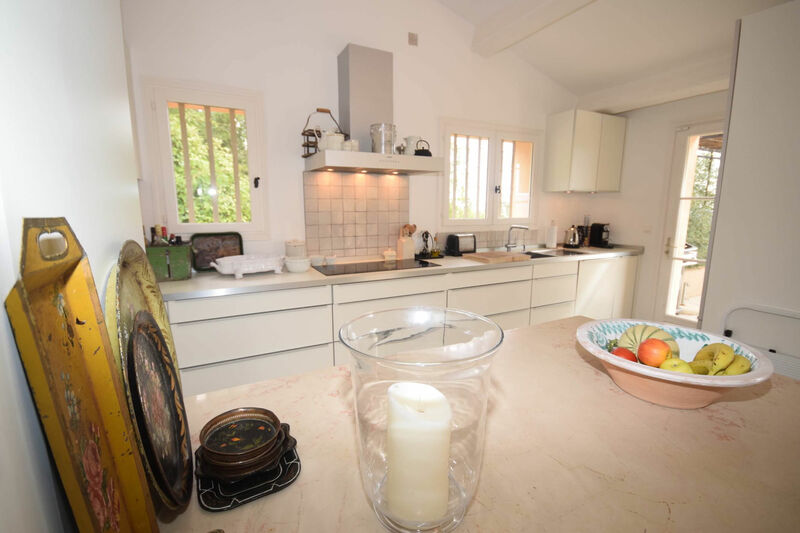 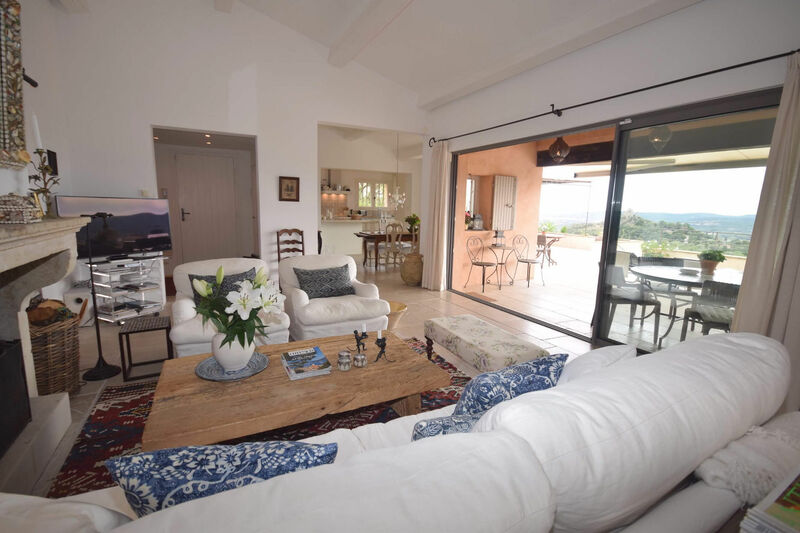 On the outskirts of village of Grimaud, with a small selection of shops, restaurants and bars as well as tennis, the property can accommodate up to 6 guests. 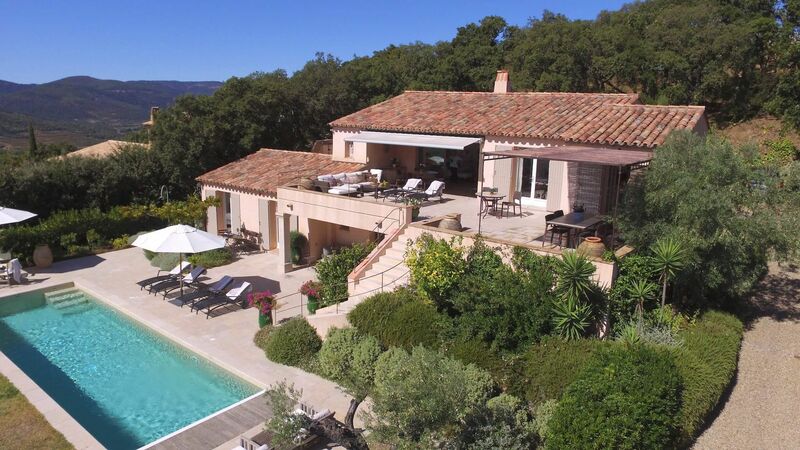 The French doors open to a covered terrace and the pool on a lower level is accessible via a stone staircase. 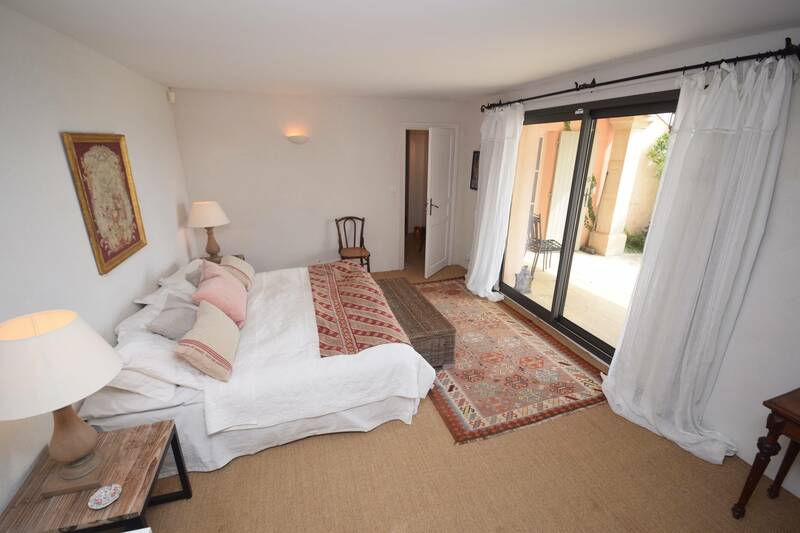 French doors also opens onto a patio area with fountain. 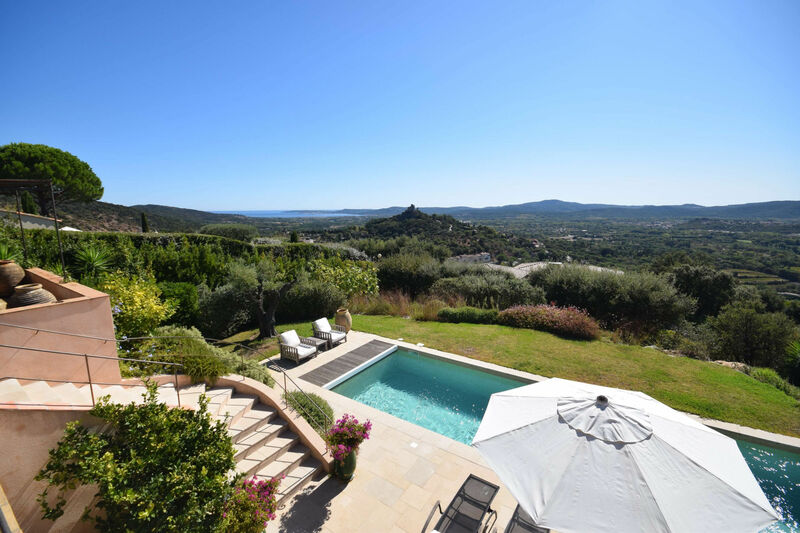 Experience Breath-taking panoramic view in this elegant sea view villa.